Tai Wah Sea & Land Heavy Transportation Limited is a private owner-operated cargo transporter and mover. Our company has been growing with Hong Kong in the past 60 years and have now established as one of the key leaders in both sea and land cargo transportation business in Hong Kong, providing an efficient, professional and quality services to our local and overseas client. We have the expertise knowledge, extensive experience, and state-of-the-art equipment to handle all kinds of projects. Lifting one unit of 280T transformer from Black Point Power Station waterfront by our floating crane "Tai Wah Jumbo", with a maximum lifting capacity of 400T, then barging to midstream for onward export shipment. Utilizing multiple special extendible trailers, floating crane, tug boats and special equipment to provide a complete delivery solution for new railcar import from Japan. Scope including lifting, barge delivery and inland transport. Utilizing our Goldhofer 9-axles multi-combination modular trailer to relocate one unit of 220T Turbine Stator from operation turbine house to maintenance bay within Castle Peak Power Station. Provide mobile crane, labours and custom fabricate skidding/rigging/lifting equipment to dissemble and remove CAE B737NG flight simulator from Cathay Pacific FTC Hall L, located on 3rd floor, for onward export. Arrange floating cranes, diving team, lifting equipment and custom fabricate support cradle to relocate stranded the "Lamma IV" from Nga Kau Wan to Marine Department Dockyard for accident investigation. To cope with the rapidly expanding infrastructure in Hong Kong as well as our mission to continuously improving the industrial standard of safety, millions of dollars has been spent on our routine equipment update. 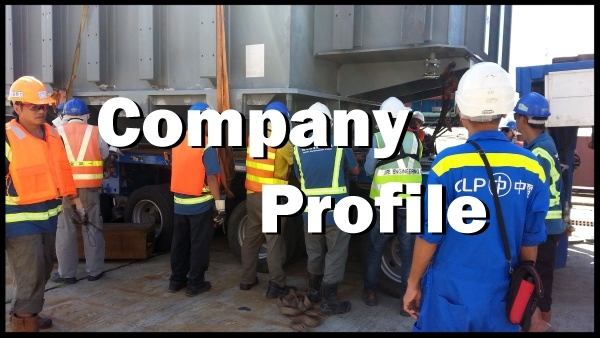 Please click below for details of our equipment, our company profile and project references.